Bayer, Boost Mobile and Geico topped the charts of analytics company TVTY. Lists of top advertisers tend to focus on money, but the highest-spenders aren't always the most visible brands. By analyzing streams of the major broadcast networks, TVTY, an analytics and consulting company, can determine the frequency with which commercials from particular brands appear. 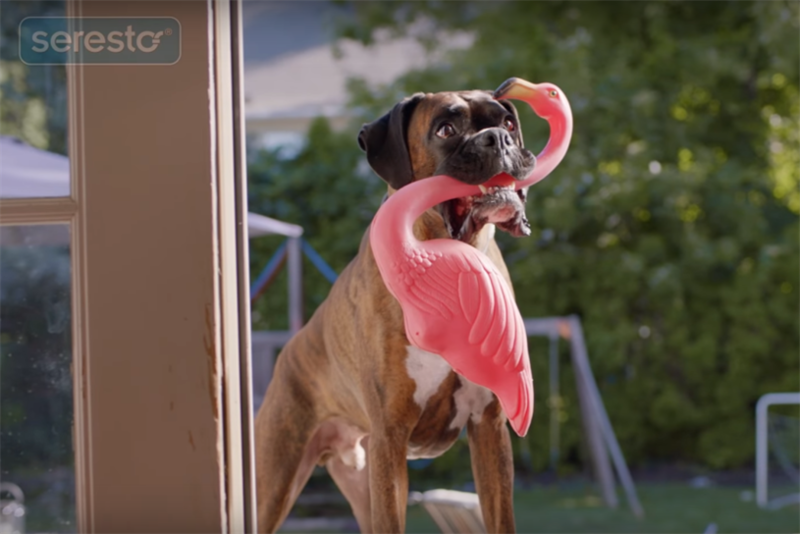 Here are the 10 brands that broadcast the most commercials on TV last week, and the networks that air the most ads. 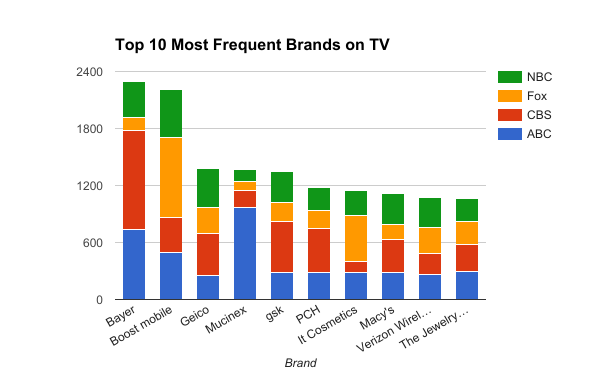 Last week, Bayer, Boost Mobile and Geico were the most prominent brands on network TV, a shift from the week before, when Boost Mobile, Chevrolet and Nissan lead the pack. 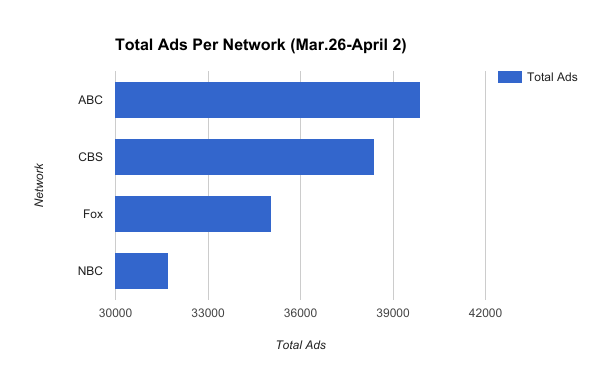 Only Boost Mobile remained in the top three slots, with 2,211 ads broadcast during last week--523 more than the week prior. In fact, Chevrolet and Nissan did not make the top 10 brands last week at all. Instead, Mucinex, gsk, PCH, It Cosmetics, Macy's and The Jewlery Exchange are new to the top 10, while Bayer, Geico and Verizon Wireless appear once again.